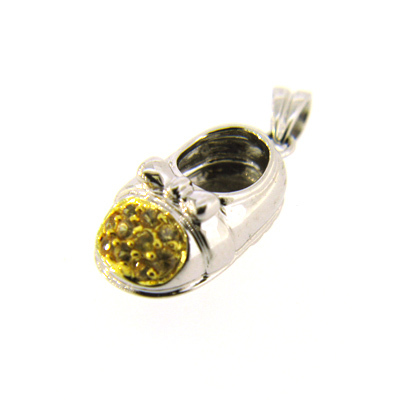 Ten round yellow sapphire stones adorn this 14kt white gold shoe pendant. Stones are .24 ct total weight. Piece weighs 2.4 grams. Measures 16.5mm tall by 9.5mm wide without bail.